Regenerative braking is used on hybrid gas/electric automobiles to recoup some of the energy lost during stopping. This energy is saved in a storage battery and used later to power the motor whenever the car is in electric mode. Understanding how regenerative braking works may require a brief look at the system it replaces. Conventional braking systems use friction to counteract the forward momentum of a moving car. As the brake pads rub against the wheels (or a disc connected to the axle), excessive heat energy is also created. This heat energy dissipates into the air, wasting up to 30% of the car's generated power. Over time, this cycle of friction and wasted heat energy reduces the car's fuel efficiency. More energy from the engine is required to replace the energy lost by braking. Hybrid gas/electric automobiles now use a completely different method of braking at slower speeds. While hybrid cars still use conventional brake pads at highway speeds, electric motors help the car brake during stop-and-go driving. 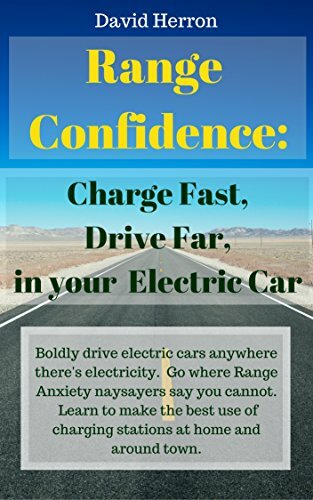 As the driver applies the brakes through a conventional pedal, the electric motors reverse direction. The torque created by this reversal counteracts the forward momentum and eventually stops the car. But regenerative braking does more than simply stop the car. Electric motors and electric generators (such as a car's alternator) are essentially two sides of the same technology. Both use magnetic fields and coiled wires, but in different configurations. Regenerative braking systems take advantage of this duality. Whenever the electric motor of a hybrid car begins to reverse direction, it becomes an electric generator or dynamo. This generated electricity is fed into a chemical storage battery and used later to power the car at city speeds. Regenerative braking takes energy normally wasted during braking and turns it into usable energy. It is not, however, a perpetual motion machine. Energy is still lost through friction with the road surface and other drains on the system. The energy collected during braking does not restore all the energy lost during driving. It does improve energy efficiency and assist the main alternator. In practical terms, regenerative braking on a bicycle may not be very realistic. Regenerative braking is accomplished by using the driving motor as a generator and then feeding that current back into the battery pack. With modern NiMH or Li-Ion lightweight batteries, the charge current must be limited and complete recharging will require from 4 to 12 hours. Assuming that a battery pack will run your bike for one hour, you would need to coast downhill at least 4 hours to recharge the battery completely. That means that for every minute of run time you would need 4 minutes of coasting time to recapture that energy at 100% efficiency. In every day use, not many of us will be able to ride routes that have 4 times more downhill than level or uphill! To make matters worse, losses in the controller and varying speeds make regeneration less than 100% efficient - typically overall efficiency is on the order of 50-60%. So let's do the math - For each minute of coasting you would recapture 15 seconds of run time at 100% efficiency or about 7-8 seconds of run time at typical efficiencies. By extending this to a typical e-bike, if you could use regenerative braking for 50% of a one hour ride, you would only recapture about 4 minutes of run time. When was the last time you coasted for half of your trip? To be fair, SLA batteries allow much higher charge rates and may recapture a higher percentage of the regenerative energy however that gain is somewhat offset due to their higher weight. Does regenerative braking significantly - quickly - help you slow an e-bike down?